Shah et al (2015) just published a paper in Nature Methods on their efforts to use CRISPR/Cas9 as a rapid reverse genetic screening tool. Although they are working with zebrafish, this is a system that has enough similarities to insects that it is worth taking a look at. Forward and reverse genetic screens can be very powerful approaches to identifying genes. But how effective they are depends very much on the screen and how many “targets” can be assessed given the constraints of the system and the phenotypes or genes of interest. CRISPR/Cas9 is an attractive mutagen because of its tunability and as Shah et al explain if it can be made efficient enough then it could be useful in in vivo screens . The authors were interested in screening for genes that affected synaptogenesis during zebrafish development. 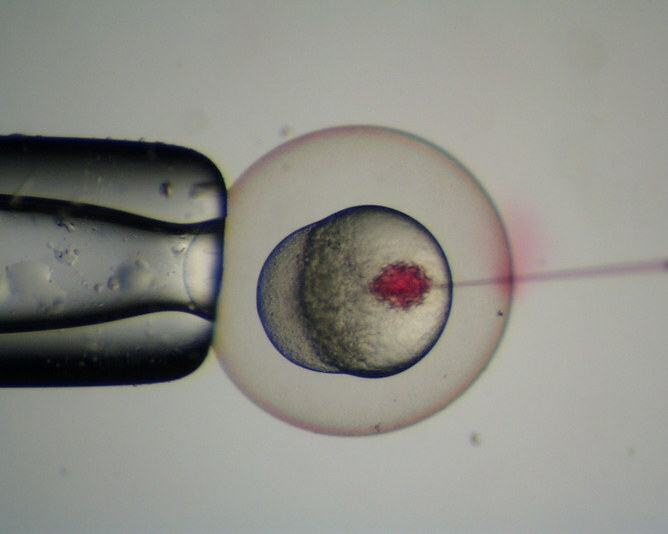 CRISPR/Cas9 is delivered to zebrafish by injection into embryos at the one-cell stage (not unlike insects) and if mutagenesis is highly efficient then biallelic gene disruptions could be frequent enough so that F0 embryos (embryos that had been injected) will have mutant phenotypes (phenocopies). Shah et al were able to optimize the CRISPR/Cas9 system so that they could perform F0 screens. Cas9 mRNA and sgRNA were injected at a range of concentrations in an effort to find an optimal concentration that resulted in high frequencies of mutagenesis and phenocopies and minimal amounts of embryo lethality due to Cas9 toxicity. Increasing Cas9 and sgRNA concentrations certainly led to a greater number of mutants and increasing frequency of homozygous mutants and phenocopies. They also saw a corresponding increase in toxicity, which in some cases resulted in 100% lethality. So, getting the concentrations of Cas9 and sgRNA was quite important. For example, they found that at 1200pg of Cas9-encoding mRNA and 1000 pg of sgRNA that 30% of the embryos died. Shah et al also explore the feasibility of multiplexing sgRNAs. They set up a matrix of 48 sgRNAs and created row and column pools such that each sgRNA was present in 2 pools. Their idea was that an ‘active’ sgRNA would be present at the intersection of row and column pools with phenocopy activity. At least on the small scale of this screen, this strategy worked. The authors estimate that while genome-wide screen would not be possible with their strategy because of the prohibitive number of embryos that would need to be injected, screens involving on the order of hundreds to thousands of genes are reasonable. Finally, the authors point out that the approaches they describe could be applied to other organisms including insects.